Transfer of your loved one from the place of death to our funeral home. Arrangement conference to determine specific desires for the funeral service. Complete preparation of your loved one, including embalming, cosmetology, dressing and casketing. A wide range of caskets and burial vaults. An exquisite selection of prayer cards, acknowledgement cards, memorial folders and programs. Coordination of service plans with clergy, newspapers, cemetery and fraternal organizations. 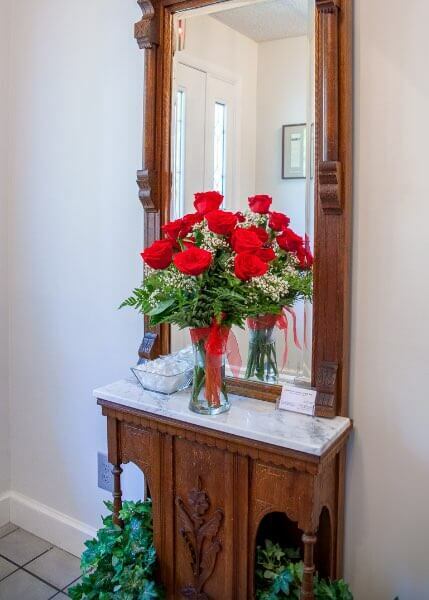 Complete use of our tastefully appointed, spacious funeral home. Use of vehicles necessary to provide services chosen. Payment options. Cash, Check, verifiable Life Insurance Assignment, Visa and Mastercard are accepted. Assistance and attention to detail in cases where death occurs away from home. Assistance in ordering fitting floral tributes. Kindly review the "Traditional Funeral Arrangements" section. All types of traditional services are available to those choosing cremation. Cremation defined: Cremation is the process of reducing human remains to their original elements by the application of intense heat or burning. A body must be placed in either a casket or cremation enclosure. Following the cremation process, the cremated remains are typically placed in an urn for final disposition. We offer an extensive selection of urns to choose from, including many that are 100% biodegradable, and we also offer a large selection of cremation jewelry. Visitation is typically held at a funeral home. It is open to the public and allows family members to receive condolences and support. The specific time period is scheduled at the convenience of the family and depending on the availability of our facility. Private Viewing is also typically held at the funeral home and the guests are chosen by the family. It is not a public event and privacy is respected. Both types of viewing, public and private allow the opportunity to say good-bye in a respectful, peaceful setting. Funeral Services and Memorial Services may be either religious events or contemporary in style. They allow the opportunity for the family, friends, neighbors and colleagues of the deceased to express their feelings, share memories and lend support to those most affected by the death. 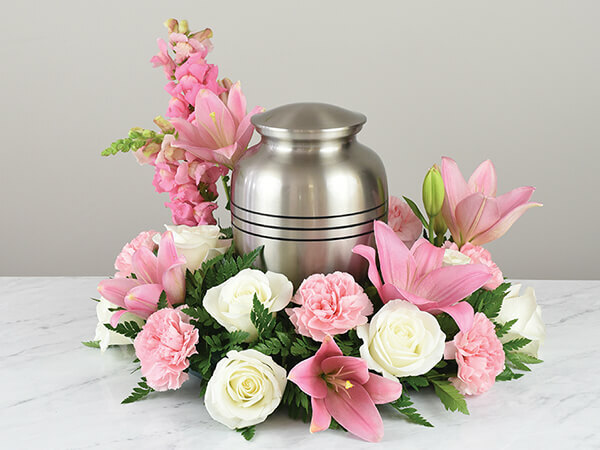 Funeral Services typically are conducted with the deceased present, while Memorial Services often include the presence of the urn, containing the cremated remains of the deceased. Immediate Cremation is available for those preferring no gathering or structured type of religious or contemporary service. The deceased is cremated promptly after death and the cremated remains are returned to the family. Following the Cremation Process, there is one final decision necessary for the final disposition of the cremated remains. While many urns are attractive forms of art, and may be retained by individuals, many choose permanent placement either in a cemetery or mausoleum. This process is knows as inurnment. The Options listed above are for your consideration and reference. At Lansing Funeral Home we excel at being flexible, creative and most importantly, attentive to your needs and desires. Feel free to contact our funeral home at anytime, to discuss any questions or concerns you may have regarding cremation. Lansing Funeral Home has been assisting with natural burials since 2006, and in 2009 was designated by The Green Burial Council as Tompkins County’s first approved funeral service provider. We offer on premise refrigeration and have expertise in accommodating public visitations and home funeral vigils without the requirement of embalming. A natural or "green" burial involves returning ones remains to the earth as directly and simply as possible and with a minimum environmental impact. Natural burials favor interring your loved one in a simple wood casket or a 100% cotton or linen shroud. Embalming fluids and burial vaults are not used for burial in a natural cemetery. At Lansing Funeral Home we offer a variety of American made eco-friendly caskets, shrouds and trundles. 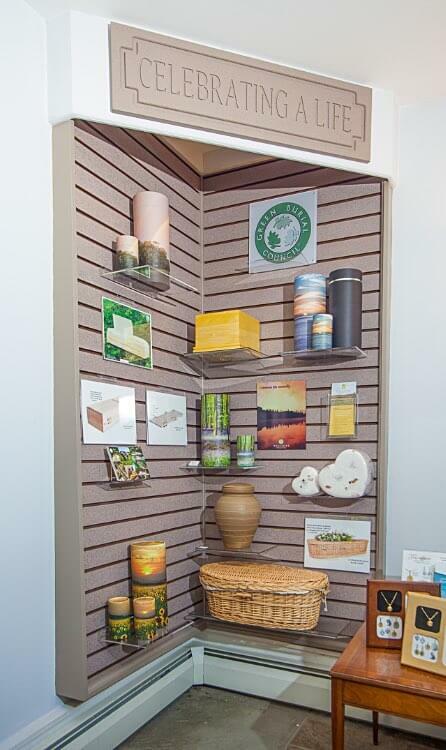 We also offer an extensive selection of biodegradable urns suitable for earth or water burial. 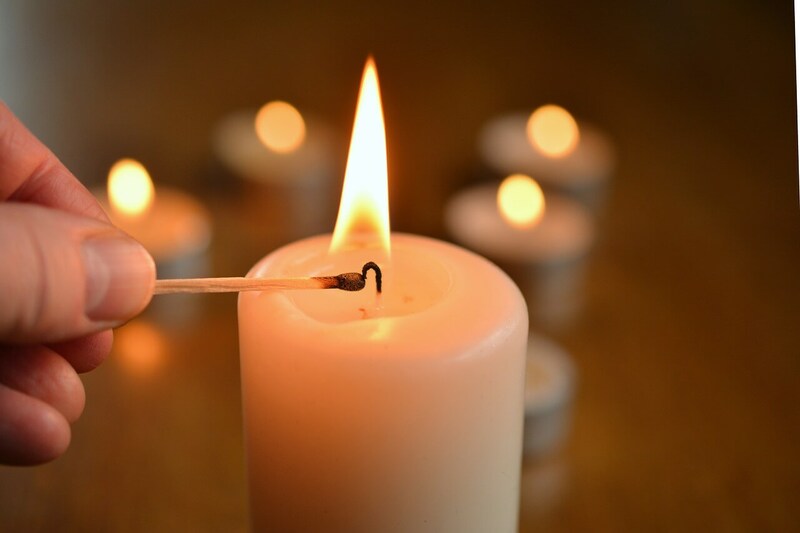 Lansing Funeral Home is experienced in planning at home funeral vigils for those who prefer this option. These typically consist of visitations that last several hours or even days. We will work with you to ensure this is a possibility. Following the at home vigil, the family can choose from either traditional burial options or cremation services.